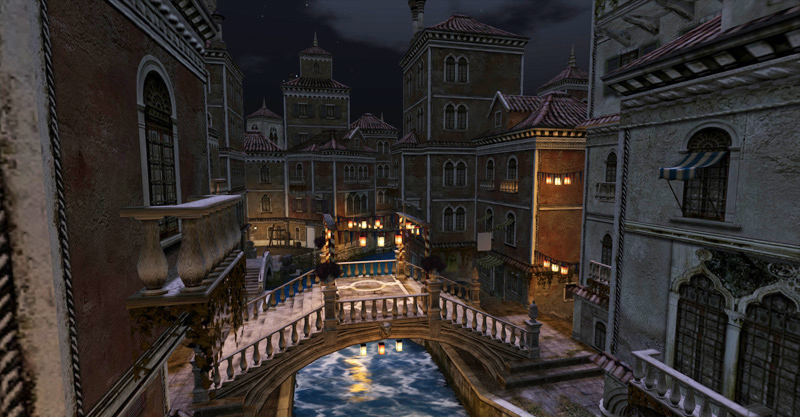 You can now see Designing Worlds’ visit to the dark and beautiful world of Venexia on the web! Venexia is an adult roleplay sim with a vampire theme. 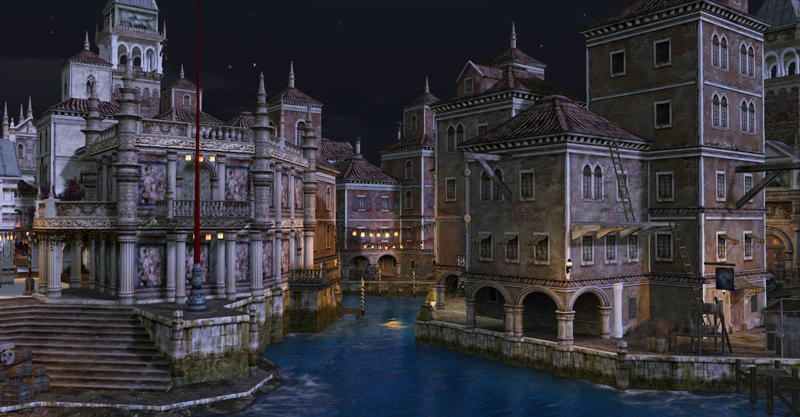 It’s set in a time when La Serenissima, the beautiful Venice that inspired this region, was at the height of its power and, some would suggest, its decadence. This stunningly lovely region, created by Baal Zobel and Kora Zenovka, certainly promises both power and decadence, and the enthusiastic patrons have evolved a rich and complex roleplay, befitting the surroundings. Visitors can join in or, if they wish to remain out of character, can simply visit (although we’d recommend you adapt a suitable costume to allow you to discreetly blend with your surroundings). In the company of the Contessa Seabreeze (who is, under another name, an old friend of the show! ), Nena Easterwood and Amberlyssa Marie Bauerhoff, we explore some of the beautiful locations and discuss some of the roles and traditions that are practised in Venexia.